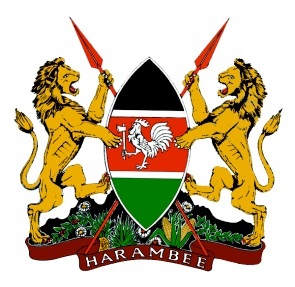 Kenya Law / Blog / Case Summary: Special Miscellaneous Application No. 1 of 2013 – Tribute for the Late Departed Senior Advocates. Special Miscellaneous Application No. 1 of 2013 – Tribute for the Late Departed Senior Advocates. The Hon. The Chief Justice Dr Willy Mutunga, D. Jur., S.C.,E.G.H. All Magistrates Mombasa Law Courts. Professor Githu Muingai, EGH, SC. - The Honorable Attorney General of The Republic of Kenya. Mr. Eric Nyongesa Wafula, The Chairman Mombasa Law Society. Mombasa Law Council Members (Representing the Law Society). Members of the Bar in Attendance. We have gathered today to pay our respect to our departed Senior Advocates of this court, our colleagues. 9. Mr. K. M. Pandya in General. Members of the court, distinguished colleagues, families, invited guests. It is a great honor to come down to be part of this tribute and reinforce this most important tradition of our profession that had been abandoned. We thank the Hon. Chief Justice for restoring this tradition of the Bar. I am greatly honoured to be here to pay tribute to our esteemed colleagues, who lived stellar lives and will be truly missed, not least in the fraternity of legal professionals where they were well respected and admired. The seven gentlemen will be remembered for their tireless work ethic, legal prowess and their continued endeavors to enrich the legal profession. They generated a work ethic that continues to inspire the lawyers and pupils we train today. It is only befitting that their tribute should be placed in the court record. Our esteemed colleagues will long be remembered as trail blazers, first among equals, inspiration to many, being the pioneer legal practitioners at the coastal region, who endeavored to develop the legal profession and made immense contribution to the legal jurisprudence. They were among the first Kenyans to travel abroad to study law and later would return, choosing to throw their weight behind a young country and profession, and this country is the better for it. The seven gentlemen that we are paying tribute to will be remembered as being pivotal in the growth and success of the Mombasa Bar, through their tireless contribution towards the same. Our distinguished colleagues gave hours of selfless service to make this and the whole of the Kenyan Bar what it is today. This will also be remembered as mentors to the young lawyers whom they habitually trained and mentored through the pupillage programme as well as moulding them to be the good advocates they are today. I urge the young advocates present to emulate these seven great men who have left an indelible mark in their pursuit of their legal careers. On behalf of the entire staff at the State Law Office, the entire legal fraternity of which I am the titular head and on my own behalf, I extend my very sincere condolence to the family, friends and colleagues of our dearly departed. The Hon. Chief Justice of the Republic of Kenya, Dr. Willy Mutunga, the Hon. Judge of the Supreme Court, Justice Dr. Smokin Wanjala, the Hon. Judge of the Court of Appeal Justice Erastus Githinji, the Resident Judge of the High Court of Kenya at Mombasa, Justice Maureen Odero, the Judges of the High Court, the Industrial Court, Land and Environment Court, the Chief Magistrate Hon. Stephen Riechi, the Magistrates present, the Hon. Attorney General of the Republic of Kenya, Prof. Githu Muigai, the Council Members of the Mombasa Law Society, the families of the departed Senior Advocates, the members of the legal fraternity present, Ladies and Gentlemen. We are honoured to be invited by the Hon. the Chief Justice of the Republic of Kenya, Dr. Willy Mutunga to deliver an address at today’s Special Court Session in honour of our departed Senior colleagues. My Lords on behalf of the Council and the members of Mombasa Law Society, I wish to fully associate myself with the sentiments and tribute expressed by the Hon. Attorney General, Prof Githu Muigai in respect of each of the departed Counsels so named. For each of them, I wish to convey our deepest sense of loss and our condolences to the respective Family so sadly left behind. I believe the year 2012 could from the view point of human calamity witnessed in the law family be called the Year of the Flight of the Great Ones. In the month of August, 2012 we lost four (4) Advocates and that had a chilling effect on me and my entire Council members. I thought the cycles of life were getting shorter and that there could be possibly less time for us in the legal fraternity than I had thought. The departed Senior Advocates being honoured today had at of their demise practiced for periods ranging from 32 years at minimum to 65 years and were all in practice at the time of death. As humans and for the love we shared together with them, their demise was a painful affliction on us. Nonetheless, we ought to be saying “Glory be to God” given all their separate great achievements and values as outstanding family men, distinguished legal practitioners and patriots. They made great strides and excelled in their professional and socio-economic lives through rewards for their legitimate self-endeavors, sacrifices, diligence, commitments, brilliance, integrity, erudition and perfectionism. They in spite of their success remained very humane and persons of good humour who were easily acknowledged as legal icons and role models par excellence. The men we have all gathered to honour were to many legal practitioners larger than life and indeed legends. They were by their training and discipline Advocates of rare distinction. They had easily distinguished and proven themselves as oracles. Through their dint of hard work and dedication to practice they easily stood out as Senior Advocates to reckon with. My Lords, I did not have the privilege of knowing Mr. Inamdar Indravadan Tribhovandas and Mr. Chudasama Narbheram Jesang at close quarters, but I take particular note of each of their respective background from their contribution to the legal practice and development of jurisprudence from the various reported matters handled separately by each of them and the contribution of each of them to the Law Society during the duration of their practice. I am particularly saddened that they passed away at a time when they could have still contributed much more to the legal profession and how I wish any one of them had found time to immortalize their deeply rich experience in the legal practice for the posterity of the profession. We all knew in the legal profession that Inamdar Indravadan Tribhovandas was easily one of the best Senior Advocates this nation has ever produced and was one Advocate who mesmerized opposing Counsel and even Judges with his brilliant submissions on the issue at hand, with remarkable power to recall and cite offhand relevant authorities to demolish opposition arguments. Chudasama had for the past several decades his hand on about 70% of the affidavits filed at the Law Courts in Mombasa. Navinchandra Mohanlal Doshi: Is the most Senior Advocate that amongst the departed colleagues that I encountered in a matter immediately subsequent to my admission to the Bar in 1998. In appreciation of the challenges I faced as a new Advocate and to avert my being taken advantage of by another fairly Senior Counsel appearing in the matter he advised me to adjourn the matter and to call at his chambers subsequently thereafter for advice. He gave me the Building Code. To me N.M. Doshi was an Advocate who did his best to live up to the philosophy of the law and the ideals of the legal profession, showing us the path of good will in the pursuit of justice. Hamzaali Abbasbhai Taibji Anjarwalla: I had several matters with him and he believed in the settlement as opposed to unnecessary Court determination of disputes. Mr. H. A. T Anjarwalla was an Advocate who was ever courteous, ever calm and never making an issue of something unless there was an issue to be made. His quietly spoken demeanor masked a very intelligent, very determined and very skillful Advocate. He was a formidable opponent. Shyamsunder Purushottam Master: We all recall S. P. Master as a disciplinarian and one who never hesitated to take a brief in professional negligence against errant colleagues. He always interacted freely with young Advocates whom he urged relentlessly to uphold virtues of honesty and hard work. He was a man of large intellect, large vision and wide interests, which interests extended to his exalted pass time as a musician with unmatched dexterity at his piano. He spoke in a distilled way with great charm and grace and always sticking close to those radical issues he had identified amongst practitioners. I could not help but admire him for his principles, the strength of his character and the depth of his conviction. James Gathuku Kamanja: I met James Gathuku when I was a pupil chambering with Mr. Lumatete Muchai Walubengo and we became good friends as his chambers were in the same building with my Pupil-Master. Mr. Gathuku was urbane, disciplined modest and unfailingly courteous. One outstanding attribute is whatever mode of dressing he wore, he appeared elegant. He taught me several unforgettable lessons, one of which has particularly guided me in practice, that is – cases are won or lost in chambers and not in Court. He maintained that briefs are not written in a vacuum, the authorities being the matrix of a good brief. Mr. Gathuku was independent of mind and of spirit in both thought and deed. Syed Kassim Shah: Mr. Kassim Shah’s reputation for legal skill and legal knowledge was second to none. His reputation for industry and integrity was equally second to none. He was the epitome of efficiency in the case management and his brilliance earned him the respect of his peers throughout the length and breadth of the Country. He was home with any subject or discipline of law in his practice and he remains the greatest mind that the Judiciary never fully exploited and the best brains that the Judiciary ought to have retained following the short stint he served as a Commissioner of Assize at the High Court of Kenya, Mombasa. I hasten your Lordships to make mention of the subject of tribute session we are holding today in honour of the departed Advocates and which tribute or reference as is generally known within the Common Wealth is an age-old one going back into time and into tradition held at the instance of passing on of a member of the Bar or of the Bench. Sometimes in the Nineties we almost lost it and indeed we lost it for many years. We the membership of Mombasa Law Society who love all our traditions, were grateful when it was revived in 2011 at the Special Tribute for the Late C. Kanji and Sadiq Ghalia. Today with the departure of our above Seven (7) Senior Advocates they have re-opened for the Bar a past tradition that had been extinct for many years now. My Lords, it is over 2 years since the last tribute was held in our Courts and with it ended one of the cherished traditions that set the legal profession apart from the other professions. “The practice of references for deceased Judges and Advocates serve to remind us that we belong to one body with one objective, namely, the pursuit of Justice through the legal process. In that collective effort, governed by the unwritten rules of etiquette and tradition which are just as important as the written ones, the death of one of us diminishes the whole, and so we gather to mourn the loss to pay tribute and remind ourselves that the journey must be made and the faith must be kept.” (Words of the President of the Malaysian Bar at Reference of Dato Ronald Khoo on 24.4.1998 at the Federal Court). With your Lordships sitting in togetherness today from 3 differently ranked Courts in the Country is to us members of Mombasa Law Society of great meaning as it serves to remind us not just one of our cherished traditions but also indicates to the Bar your Lordships concern for the maintaining of that tradition and the bonding between the Bar and the Bench. I extend to his Lordship the Hon. Chief Justice and the other Judges presiding with him the thanks and appreciation of the membership of Mombasa Law Society for this wonderfully meaning gesture. I again convey to each family, on behalf of the Council and membership of Mombasa Law Society, our deepest sense of loss and sincere condolences. On behalf of my family present here today in the form of my mother who has traveled in for this occasion from Nairobi, my uncle and senior partner of the firm of Inamdar and Inamdar, who has also traveled in from Nairobi, and my wife and son, I would at the outset express my sincere thanks to the Chief Justice and distinguished members of the Judiciary for convening and attending this function to the honour not just my late father I. T. Inamdar, popularly known as Bill Inamdar, who passed away on 24th August last year at the age of 81, but also the other advocates who also sadly passed away in the last year. I am also very appreciative of the efforts of the Law Society and I thank the advocates, particularly those coming from afar, who have taken the trouble to be present today. Some 30 years ago, I recall my father standing in court on one occasion very similar to this one. I was, at the time, a trainee solicitor in England and had come back to Kenya for the funeral of my grandfather, the late T. J. Inambdar QC who had passed away in Mombasa at the age of 93. As many of us here would readily acknowledge, my father was a man who was rarely lost for words. However, in commencing his address to the judges and the members of the legal fraternity then present on the occasion he began by expressing his profound regret at how difficult his task was as a son to speak about a father on his passing at such an occasion. I must confess that today I find myself equally stupefied. I will nevertheless hazard an attempt to justify my own presence here today to speak about my father and my words today have been greatly assisted by members of my own family. To me he was a father as well as a partner in our legal practice. He was only 21 when called to the Bar in England from Lincoln’s Inn in 1952 and then admitted as an advocate of the High Court of Kenya a year later in 1953. A fiercely protective husband and father. A fastidious man with a work ethic that boggled the imagination. A lawyer’s lawyer, with a voracious appetite for meticulous and detailed preparation. Some of you here today have appeared against him in court. I don’t pity you. Why? Because you need to understand that I had to appear before him both at home and in the office, every day! An avid reader, an idealist and a fine orator, he could not, in his early years, keep himself away from politics and the freedom struggle of Kenya which was fast gathering momentum. He could foresee the unstoppable tide of freedom and plunged into politics, being one of the founders of Kenya Freedom Party in 1958, which wholeheartedly supported the Kenya African National Union (KANU). He was nominated to the East African Legislative Assembly where between the years 1961 – 1964 he espoused the cause of early freedom and gave a voice to the views of progressive young Asians. After Kenya became free, he devoted all his time to his first love, the law. He soon became one of the most celebrated and elegant trial lawyers, named by Chambers and Legal 500 as the top lawyer in Kenya for several years. He ultimately became a senior statesman of the legal profession. The tributes of his intellect, integrity and commitment to the rule of law were well known and respected amongst the legal fraternity. Externally, he had a soft and sentimental heart. As is said in Sanskrit, “the hearts of the great are harder than steel but softer than a flower”. Deeply loved and respected by a closely knit family of a devoted wife, children, brothers, sisters, nephews, nieces, and grandchildren and in deed by a large circle of friends, his kindness and humility are a testimony to his commitment to the essential values of life. The Hindu Holy text, Bhagwad Geeta, tells us that life is but an interval between two rests in our quest for eternity and when we leave this body, we only discard an old garment to don a new one. It is not important how long we live in this brief interval but how well we live. And very few people can claim to have lived as long and as well. I stand before you today to offer tribute to the late Mr. N. J. Chudasama, who died in Mombasa on 4th August 2012 and pray for bliss and eternal peace for his departed soul. Mr. Chudasama graduated as a lawyer from the University of Bombay (Now Mumbai) in the year 1954. When I returned to Mombasa in late December 1958 after being called to the bar in 1957, I found Mr. N. J. Chudasama already practicing as an advocate, proficient in Civil Law in an office building, now totally in ruin, situate opposite the entrance to the Mombasa Club, Ndia Kuu, Mombasa. About 29 years ago, he moved into a new office in the building in Treasury Square where I also have my own office. Always a workaholic, Mr. Chudasama would already be in his office promptly at 8:00 a.m., six days a week, to serve members of the public seeking his legal services. Mr. Chudasama was a health freak who swam across the creek from the Old Port Mombasa to the then well known English Point early every morning and return later to the Old Port Mombasa. In the evening Mr. Chudasama would everyday of the week undertake a 2½ mile walk from his home in Kizingo, along Mama Ngina Drie and then return home. He was a very gentle person, easy to meet with and talk to. Mr. Chudasama, a widower, is survived by his brilliant sons, Mahesh, a gynecologist (with a wife who is also a gynecologist) and the last born Dr. Umesh, a dental surgeon in private practice, both of whom were brought up single handedly by Mr. Chudasama. After the death of their mother at a very young age, he educated and had both of them married, settled in life and their profession, not a mean feat. Mr. Doshi was aged 77 years old when he passed on. He was born on 13th October, 1935. He was a resident of Mombasa. He was married to one Mrs. Prafulata N. Doshi and their other state of residence was Rajkot, Gujarat, India. He moved there when he was four years old due to the second world war and continued his studies in India. In 1953, he attended Alfred High School in Rajkot, and in 1957, attained a Bachelor of Science Degree from Siam College, Mumbai. In 1960, he got his LL.B from M. P. Shah; Rajkot being his second degree. In 1964, he completed his Post graduate Diploma (Bar exam) in Kenya. Mr. Doshi had always wanted to be a medical doctor but did not have the finances and so he took up law as his second option. He moved back to Kenya on 1st of June 1963 (Kenya’s Madaraka Day). He got married on 21st January, 1967 to Prafulata D Shah (maiden name). Mr Doshi had two sons and one daughter and a total of 4 grandchildren. Samir currently in Abu Dhabi is married with 2 children; Ketan currently lives in Mombasa and is married with a child. The last born is a daughter who currently resides in London and is married with one child. Mr. Doshi started practicing as an advocate as an intern for the late DD Doshi. Later he started his own practice in 1969 and served as an Advocate of the High Court of Kenya up until 2008 when he retired. After retirement he spent some time in Singapore before moving back to his beloved Mombasa. He specialized in rent tribunal cases and was notable for handling such. It is noteworthy that certain rent tribunal precedents were based on cases he fought. He was a good sportsman in his younger years and a very good leader. He was an active member of the community – Shree Navnat Vanik and was its legal advisor for 20 years. The late Doshi was also a culinary expert and used to cook for friends and family. He was made an Honorary member of United Sports for winning a case where he represented the accused but was never paid any fees. He served for 20 years as the legal advisor for other communities such as Oshwal, Navnat and Aspara (Jain temple). Mr. Doshi was a very generous, jovial and kind hearted man. He was a devout husband and a caring father. He used to be very principled which is a quality he passed down to his children. He did whatever he could to ensure a better life for his family. He was also very close to his grandchildren to whom he also passed his wisdom. A friend to all ages no matter the age. He always used to humour his family and friends and carry handkerchiefs and sweets etc for his friends in the legal fraternity. He used to always say life is uncertain but death is certain so make the most of time while you are here. He used to have a number of names and nicknames, for example the name on his passport reads “Shashiskant alias Navichandra Mohanlal Doshi” while some of his friends in law used to call him “Nairobi Mombasa Doshi (N.M Doshi)” due to his frequent trips to Nairobi. To family he was known as Suresh which often created a humorous confusion when they interacted with his friends who knew him as Navin, they all used to get confused if they spoke of the same person. He died on 16th April 2012 in Mombasa. He passed away peacefully while asleep. Honorable The Chief Justice, Honorable the Attorney General, families of the departed colleagues, the Judges present and the members of the judiciary, Chairman of the Law Society of Mombasa, friends and colleagues. Mr. Anjarwalla rose from a humble background. He was born in Malindi in 1928. Having schooled in Malindi and Zanzibar, he worked in Mombasa to earn his keep in the U. K. to study law. He graduated from the Exeter University in 1958 and was called to the bar in 1959 by the Honorable Society of Lincoln’s Inn. He was a self made man. Mr. Anjarwalla completed his chambering at the offices of O’Brian Kelly & Hassan Advocates and started his own practice, under the name of H. A. T. Anjarwalla, in 1961. When he was being interviewed before being enrolled, the interviewers were so influenced by his knowledge of the law that they recommended that he be enrolled before the expiry of the then normal residential period of one year. The then Chief Justice accepted the recommendations and Mr. Anjarwalla was enrolled in March 1960. His son Fayaz joined the firm in 1996. I have been witness to their steady growth. We had both started our practice of law in Mombasa around the same time and I have had the pleasure of working with him as well as against him in several cases. Mr. Anjarwalla’s intimate knowledge of legal matters and litigation tacticts was shown time and time again in the cases he handled. He had a great passion for litigtion, handling diverse civil litigation. It is an unfortunate truth that the availability of legal services depends upon wealth rather than need. However, Mr. Anjarwalla did not put money before the needs of his less fortunate clients. The case in point is when he represented a community of some 10,000 people of the Tana River District against the parastatals and saved their land. He was a man of few words but delivered more. It is said that there can be no excellence in the law without excellence in lawyers. The legal profession requires hard work above the ordinary. Mr. Anjarwalla believed in that. He was never shy of working hard when preparing a case. Mr. Anjarwalla also dedicated time to charity work and was a former chairman of the Rotary Club. During his chairmanship the club spearheaded a number of projects whose purpose was to assist the less fortunate. Mr Anjarwalla was a keen sportsman as well playing a lot of cricket in his younger years and becoming a prominent member of the golf scene in his late years. He is survived by his wife and two children, a son and a daughter. His daughter resides in London and his son resides in Mombasa with his mother and continues the legal firm founded by his father. On behalf of all of us we wish the family well and God give them strength to bear the loss. The late Shyamsunder Purshotam Master who was referred to by his colleagues and friends as “SP” or “Master” which in itself carried respect, was born in Kibokoni, Old town, Mombasa on 30th September 1932. He died on 1st August 2012 at the age of almost 80 years after losing his beloved wife, Jyotika S. Master after a marriage that lasted 50 years. Master completed his secondary schooling at Allidina Visram. His father P D Master was a law clerk in the 1950s at A B Patel & Patel Advocates. His father sent his son to London by ship where he was admitted at Lincoln’s Inn. Unfortunately his father died whilst he was still at Lincoln’s Inn which necessitated his return to Mombasa before he could complete his studies. Master was compelled to take up work as a car salesman at the then Cooper Motors to pay back the debts incurred by his father, for his and his siblings education and to support his family. In 1959 he returned to Lincoln’s Inn where he successfully completed his studies and was called to the Lincoln’s Inn Bar in the same year. He was admitted as an Advocate of the High Court of Kenya in July 1960 and completed his pupilage at A B Patel & Patel Advocates in Mombasa. Master was married in 1961 and he has two children; a son, Kartik, who was a pilot and is now an exercise therapist; as he feels he can do more good in helping the others in need; and a daughter, Aditi, who is married and living in Canada. Master practiced law for 52 years a profession which he loved. He specialized in Criminal law for many years before he branched out into civil and commercial litigation. His greater passion and penchant was his love for music which was his only hobby. He was multi-talented as he could play any musical instrument be it a guitar, flute, trombone, sitar, piano or Indian tabla or even drums. In England whilst studying law he would spend most of his time visiting Jazz clubs where he had the opportunity to see Louise Armstrong live and play the piano with Ella Fitzgerald. He is the only Advocate I know whose firm’s hours of business, printed on his firm’s letter head were 6.00 a.m. to 1.00 p.m. which he strictly applied and rarely did he go to court in the afternoons preferring to spend this time on his favourite hobby practicing and playing his musical instruments. He has performed many musical recitals publicly in Mombasa. Master was most popular with his colleagues as he was always very jovial and had a cheerful and humble personality. He was always smiling and had a good sense of humour with a hearty laugh! He was a fine lawyer and was a hard working man who lived his life to the fullest with contentment and honour. He set high standards of principles of integrity and ethics which he never compromised. He put in many hours of pro-bono work and always had time to assist and advise his juniors. He helped the needy and gave much to charity with discrete donations to a number of locally based organizations. He continued practicing law to the very end despite undergoing an amputation of one of his legs. In the latter years of his life he was a familiar sight in the law courts of Mombasa when he would conduct his cases from his wheelchair with courage and dignity. The Honourable Chief Justice, other Justices, the Attorney General, Honourable members of the Bench and the Bar, Families of the departed, friends, colleagues, ladies and gentlemen. The Honourable Chief Justice, I am honoured to appear before you today. I wondered what the sitting here would be, whether a High Court or Supreme Court. It is my humble opinion that this is a High Court. I would be the last advocate to appear before you and raise an objection as to jurisdiction, since the Chief Justice, I believe can sit in any court in the land. I wish to commend the Attorney General for his practice before this court. I urge his good office to continue to strengthen the practice and rule of law. With regard to the matter at hand, I readily agreed to appear before this sitting. I however I pray for leave to deviate from the set agenda and from the speeches of my colleagues from time to time and to speak in more general terms concerning the practice of law. I have tried to practice not only in Nairobi but in various parts of the country. I find it healthy for my practice and for my body. I recommend it to my colleagues, urging them not to confine themselves to Nairobi, whereas Kenya is much bigger than that. In the 1980s, I specialized in burial dispute cases. During this time I read a bit in other disciples issues relating to death. One fascinating case I handled was the S. M. Otieno case. Mr. S. M. Otieno was an outstanding lawyer who made a mark in this country as a good criminal and civil lawyer. A dispute arose when he died over his burial ground – whether it would be in Upper Mattasia where he lived with his wife or in his rural home in Luo land. The court eventually ruled that he was to be buried in his ancestral home. Significantly, throughout his proceedings, no prayer was sought, and no appeal filed for a finding that he should come back to life. If it had been made, such application would have no doubt been ruled as frivolous and lacking in merit. What is my point? – Death tends to be sudden. It does not give hearing, is not reviewable, it does not give a right to appeal. Once it strikes, it strikes and nothing can be done. That was what happened to my brother in law, Mr. Gathuku, for we did not even know that he was sick. One evening as I was at home with my wife, at about 10/11 p.m., I was shocked to receive the call that he was dead. My wife had just lost a number of relatives successively in the weeks preceding, so I did not want to tell her immediately. When she asked me what the call was about, I lied that it was my sister. I did it to protect her health. I organized for a committee to of close friends to gently break to her the news the next day. Some colleagues of mine who have passed – Mr.Ghalia, Mr. Kalama Jacob, Mr. George Ngombo, Mr. William Muchiiri in Mombasa. I believe also made a great contribution to the bar, and with the court’s permission, I wish to recognize them. I once acted for Mr. Oginga Odinga. He once told me that death is like an epidemic. We have lost a number of lawyers, in recent years and I would seek to mention some of them such as – Mr. Waruihiu, Mr. K’Owade, Mr. Mutula, Mr. Kivuitu, Mr. Kisegu, Mr. Bakhoya, Mr. Ben Ochieng’, and Mr. Nganga Thiongo, among others. Mr. Thiong’o was a man I had the great privilege to work with. Apart from knowing the law, you got the sense that he was a good man. The point you make is significant, the ones you mention who practiced in Nairobi shall be accorded a similar ceremony, in addition to Mr. Satish Gautama also of Nairobi. If I may also say a few words about the other departed colleagues, Mr. Inamdar was always courteous, you left the court feeling you had been appearing against a good friend. Mr. Kassim I found was a stickler of procedure and a very able lawyer. Mr. Ngobo was a good lawyer and skilled in cross – examination. Gathuku – I came to know him through his sister, Hon. Lady Justice Khaminwa. He had the privileged of coming from a “legal” family, Joseph his brother, Dr. Dan Gathuku a nephew and of course the Hon. Lady Justice Khaminwa. Mr. J. Gathuku was a gentleman. He was a man of few words, he did not use words carelessly, he measured his words, he reminded me of the words I once read – of all the weapons of destruction that man could invent, the most terrible-and the most powerful-was the word. Daggers and spears left traces of blood; arrows could be seen at a distance. Poisons were detected in the end and avoided. But the word managed to destroy without leaving clues – Measuring words is not easy. James Gathuku had this rare quality. Some of us can be weak but he practiced it both in court and outside. James was born in Nanyuki in the year 1952. He was the 3rd child of Mzee Amos Kamanja Gathuku and Phoebe Nyawira Gathuku, Brother to Hon. Lady Justice Khaminwa, Mrs Edith Kagagi, M/s Martha Gathuku, the late Pennina Wanjugu, Mr. Robert Macharia, the late Geoffrey Muchemi and Joseph Gathuku. He received his early education at Rware Primary School and completed his Certificate of Primary Education. He then Joined Ruthagati High School and completed his East African Certificate of Education obtaining a first division. Thereafter he joined Kenyatta College (Now Kenyatta University) where he sat for his East African Advanced Certificate of Education where he obtained 3 principals. He was admitted to the University of Nairobi where he pursued a Bachelor of Commerce Degree. James was keen to practice law and following in the footsteps of his sister Joyce. He enrolled for Bachelor of Law degree program at the University of Dar-es-salaam. After his laws degree he proceeded to the Kenya school of law where he qualified and was admitted to the bar in October 1978. He then joined the law firm of Khaminwa and Khaminwa Advocates in Nairobi and later moved to Mombasa where he joined the law firm of Kiambo & Co. Advocates before he formed his own Law firm James Gathuku & Co. Advocates. He developed a wide ranging practice, providing legal services in civil and criminal litigation, commerciall and conveyancing. He was meticulous in his work and was well known for the high quality of his professional services. He trained many lawyers who grew to develop their own law firms and made a contribution to the development of the Law Society in Mombasa. James passed on 6th October 2012, leaving behind a daughter Yvonne Nyawira. The departed advocates have left their contribution in the Constitution of Kenya, which has transformed the society, where now every Kenyan is a lawyer and can talk with authority on Human Rights. We remain grateful to the Almighty for having had them among us. And to the Court, I am grateful that I have had this opportunity to appear before you. The achievements of Mr. Shah are well known and recorded and do not need to be emphasized. Kassim made a tremendous contribution through his very active practice in commercial and civil litigation, caselaw development in issues involving land conflicts and administrative disputes in the Judicial Review process. He was also a team member of the legal team that represented Hon. Justice Waki (as he then was) in the Tribunal established to investigate his conduct and the singular success the team achieved in exonerating Justice Waki. Kassim also represented the IEBC in disputes arising from delineation of boundaries. Kassim also served with great distinction as a Commissioner of Assize. Through all these achievements runs a constant theme; Kassim’s, strong minded pursuit of achieving justice, real substantial justice, not bound by technical rules and what he considered artificial impediments to the course of justice. He, therefore, occasionally had alarmed me by his tendency to disregard rules of procedure. Being of the old school, I am of the persuasion that rules of procedure are there to be followed and to be adhered to not slavishly, not rigidly but in a manner that makes the process of litigation smooth and predictable. Kassim was my pupil and later became a partner and friend. Kassim and I had many arguments arising from these two opposing views and Kassim was never failed to point out that the civil procedure rules were the handmaiden of law. My reply was always the same, precisely because they were the handmaiden they had to be used to assist the process of litigation. Kassim always enjoyed an argument whether in court or outside. In court his arguments were brief and to the point sometimes even verging on dangerous bravery. However, outside of court, any discussion with him could lead to all sorts of avenues, away from the main topic and into unexpected topics. I would like to imagine that where he is, Kassim is enjoying an argument with his old sparring partner, Mr. Bill Inamdar, over a glass or two of beer, and each trying to prove his point. It would be a battle of wits interesting to be a part of. Kassim leaves behind a large group of friends and colleagues and his very devoted wife who stood behind him and took care of everything leaving Kassim free to pursue his career unburdened in any way. He leaves behind two sons, one pursuing Medicine at the University of Nairobi and the younger son about to complete his A-Levels. I hope they will be able to cope with their loss, as we at the firm of A. B. Patel & Patel are trying to do. Mr. Doshi were my childhood friends. I remember enjoying my school days with them. When Mr. Doshi’s car was mentioned, I recalled how it was once stolen but ran out of petrol at the Makupa Causeway. The police thanked Mr. Doshi for his car, as it had assisted them to catch the criminals! Mr. S. M. Otieno, Mr. Omolo Okero, Mr. Gata Guti, Mr. Joseph Murumbi Mr. N. M. Doshi and I met while in college, where we had a Kenyan table. Our college was known as the college of rebels who would always criticize the British government. There was a strong wind of change in the air at the time and we were part of it. A lot of us were active in the freedom fight, Bill Inamdar in particular, we were afraid would be arrested. Mr. S. M. Otieno’s case arose from inter-tribal marriage. It is something I am aware of, as among Indians there was the caste system. S. M. Otieno’s case was the beginning of the tribal recognition. I personally feel that a lot of money is spent in village burials. I propose that it may be time for the law to stipulate that as all of us are Kenyan, one should be buried wherever in Kenya one dies to avoid the unnecessarily huge costs incurred in conducting burials in the villages. I. T. Inamdar, as I have known him was my childhood friend. We were together in Std I in Makupa Primary School. He later joined Convent Primary School, Mombasa and Sacred Heart Secondary School. He was a clever student and was not shy of acting on the stage in the school programme. Every late afternoon we used to meet on the sand bed and had a dip in the Indian Ocean below Fort Jesus near Mombasa Club. He was a born leader and a sportsman. He was captain of Old Town Football Club known as “Fort Jesus Club” and played as Center Forward while I played Center Half. He was like me an excellent cook and enjoyed entertaining friends off and on. Mr. Chudasama was born at Mombasa in 1929. After Primary Education at Makupa Primary School he was promoted to Allidina Visram High School, Mombasa. Thereafter, he traveled to Rajcot, Gujarat and attained his Law degree in Bombay University. On his return to Mombasa he did his pupillage and was enrolled as Advocate of High Court of Kenya in 1955 and continued practicing law in Mombasa till he passed away in Mombasa in 2012. During his practice he mainly dealt with and handled civil matters. Mr. S. P. Master was born at Mombasa in 1931. After Primary Education at Makupa Primary School he was promoted to Allidina Visram High School, at Mombasa. He went to the U.K were he did his law and returned to Kenya in 1959. Soon after his pupillage he was enrolled as Advocate of High Court of Kenya in 1960. From his earlier age he was extremely fond of music and all throughout his life he never left playing music. He could sing very well and would never say no to any invitation for a party which required him to play music and sing. In Secondary classes he was fond of using flowery language full of difficult words and phrases in essays. The reader would have to look up a dictionary to understand what he really meant. Throughout his practice he preferred to defend his clients in criminal cases in which subject he had specialized. The late Kassim Shah had a very clear mind and was a good lawyer right from day one in his legal practice. He was always successful. He mainly handled difficult, complex civil litigation. He was appointed Commissioner of Assize and was a member of the Rules Committee for several years. His contribution was great. He was Chairman of Mombasa Club which he managed well with distinction. He will be missed for many years to come. I have enjoyed every moment of my life with each of these departed colleagues. Each meeting was pleasant. They made for good company. I seek the assurance from the court that a similar session would be held for me when my time comes. Not enough can be said about the families of these departed colleagues. Mrs. Kassim, was devoted. Not enough has been said about her. Each of these departed, had a strong support system from the home-front in the form of love from their family. The wives, children and relatives of the departed were instrumental in their success. A loving and supporting family unit brings up good children, who like the children of these departed, are imparted with the good qualities and virtues of their deceased fathers. Their legacy continues to live through them. May God rest their souls in peace. May it please the court, allow me to thank Mr. Khaminwa for his kind remarks of my office on its involvement in legal development. I also wish to respond to the words of Mrs. Gudka and those said of the departed advocates. Mr. Inamndar and I acted in numerous cases. I developed a profound respect for him. The word erudite truly describes the manner in which he conducted his matters. Our friendship was not always a happy one, owing to our different clients who would place us on opposite sides. We would however, always make up over a cup of coffee, for which he always traditionally paid. He used to joke that while the younger lawyers were making all the money, the older advocates were still obliged to foot the bill for their juniors’ coffee. Finally, I wish to thank all that have contributed to making submissions in these proceedings. I apply for these proceedings, to be certified as a record of the court. I pray further that the record be formally sealed by your Registrar and be made available to the families of the departed at no charge. There was a time in the history of the Judiciary in Kenya when both the Bar and the Bench assembled as we have done today to remember and pay tribute to the professional lives of our departed colleagues, judges and advocates alike. Such a gathering would occur within a few days of the departure of the judge or advocate. Today we gather here, several months or even years after the death of those to whom we are paying tribute, yet these ceremonies are a time-honoured tradition in most of the Commonwealth jurisdictions. It is apparent from our records that this tradition was abandoned some 14 years ago, when a ceremony was held in Nairobi in 1999 following the death of Chief Justice Zacchaeus R. Chesoni. The last ceremony in honour of an advocate was on June 23, 1992 for the late Krishan Gautama. Like other deeply rooted traditions, such as the two minutes’ silence observed at 11 am on November 11 of each year to mark Remembrance Day in honour of the sacrifices made by members of the armed forces and civilians in times of war, I intend to renew and institutionalize this ceremony not only to celebrate the contribution to the country’s jurisprudence by our departed jurists, but also to honour retiring judges, advocates and members of the academia who have made great contribution to the development of the law and administration of justice. I have chosen Mombasa as the site of the revival of this tradition, given that this was the first location of the court in Kenya. Such proceedings will be published in the appropriate volumes of the Kenya Law Reports. Perhaps after consultations between the Bar and the Bench, an agreement may be reached as to the timing of the ceremony — whether it should be annual or immediately upon the death of a judge or an advocate. This day is a nostalgic reminder of days past during which the Chief Justice, in full judicial regalia while presiding over the ceremony in the company of other judges, would conduct “a trial” in formalistic court procedure with “arguments” by counsel (The Attorney General and the Law Society of Kenya chairman) followed by a “judgment” or an “order” and thereafter an “application” for adjournment. Each one of them will be remembered for various reasons, but from my own personal knowledge of some of them, and from the background information I have gathered about the others, there is no doubt that they were consummate lawyers who combined talent and incredible mastery of the law. They believed in truth and justice. They were resourceful, respectful and humble. As lawyers, we must avoid being disrespectful to judges; overbearing and blustering to colleagues, or insulting to the parties. Our departed colleagues, whom we cerebrate today, were more than lawyers. They were husbands and fathers. They had friends, relatives and neighbours, who have borne the pain of loss since their departure. But they will be sadly missed well beyond their own families. Their contribution to the society is their legacy. That is the lesson we must draw from their lives. It is therefore befitting while we remember them today to talk about the role of the legal profession in nation building. The legal profession has an ancient history and predilection. The modern legal professional, earning his living by fees paid for legal services became visible in the late Roman Empire. Every so often, lawyers are admitted to the Bar. Lawyers in these proceedings have been admitted to the Bar. But how many of us recall the oath we took on our admission to the bar? I will remind you. We took the oath that bound us to protect the Constitution and the rule of law. Under Section 4 of the Law Society Act, Cap 18, one of the roles of a lawyer is to protect and assist the public in all matters legal. It is therefore widely acknowledged that lawyers have a great role to play in nation building. But how many of us take public interest litigation; how many today – apart from the upcoming lawyers – volunteer their time and resources in pro-bono work or pauper briefs, yet great lawyers such as the late Byron Georgiadis, the late S.M. Otieno and many others made their names in offering pro bono services in criminal cases. The lawyer’s role transcends the client-advocate relationship. The whole concept of democracy is embodied in the principle of the rule of law where everything must be done in accordance with the law, with lawyers providing guidance. For this reason, the legal profession itself should be seen as a public service because it is expected to provide public service and leadership. The rights of the poor are constantly violated. But they are not able to access legal/judicial services. In the same way a doctor would stop at an accident scene to help the victims without first thinking about his charges, lawyers should also help those citizens who are in need but cannot afford their services. Lawyers, judges and legislators are an integral part of a system of law and justice that fosters the economic, cultural and community freedoms so essential to a progressive society. Lawyers are in the heart of every dispute, from child custody contests to neighbours’ boundary disputes, to commercial and environmental actions. Lawyers are literally entwined in people’s problems and their solutions. There are so many important ways that lawyers and judges add immeasurably to our society that, when you think of it, without lawyers and judges dedicated to the rule of law, tempered by freedom, justice and equality, our society, even with all its problems, would not have progressed to the level that it is at today. There is no question that lawyers and judges working together in the system of justice are the bulwark of our democratic system of government; they are indispensable to a free society that respects the viewpoints of all. It seems to me vitally important that all the entities involved with the courts on a daily basis work together whenever possible to ensure that our citizens have the best justice system possible. The establishment of the National Council on the Administration of Justice under the Judicial Service Act will ensure participatory and sector wide approaches in addressing issues of common interest in the justice sector. I encourage both the Bar and the Bench to strengthen Court User Committees as well as the Bar-Bench Committees in order to enhance efficiency in the sector. In conclusion, as we reflect upon the lives of the departed learned counsel, it is important to bear in mind the values they each stood for — an equitable and just legal system, justice, democracy and equality, the spirit of selflessness, dedication, discipline and clarity of purpose. As we remember them, I believe the best tribute we can pay to their lives on this earth is not the kind things we said about them today but by emulating those values they stood for. The Proceedings herein today be adopted and do form part of the Records and Archives of this court, The Supreme Court of Kenya. Also certified copies of proceedings be supplied to the families of the deceased advocates. Dated and Delivered at Mombasa this 5th day of July 2013.